This program is for homeowners who currently use a competitive lawn care company. We will review your lawn care program from your current lawn care provider for FREE. 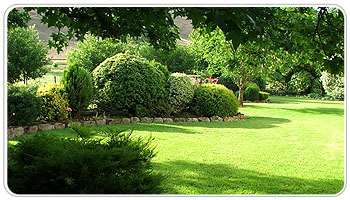 Offer you more competitive rates and terms for the same amount of lawn care services. Offer you more services for the same rates and terms which you are currently paying. Confirm that you are indeed getting a great deal at a fair price. We can be more competitive than other larger lawn care companies as a result of our smaller marketing and overhead costs. Our smaller size also ensures that we provide lawn care products at the correct time of the season as opposed to filling a daily quota of services provided. Application of these new products at the incorrect time or in wrong type of weather can severely reduce the effectiveness, ruin your lawn or just waste your money. As a result of the provincial ban in 2009 of cosmetic pesticides, all lawn care companies, including ourselves, now use the same products on your lawn. No lawn care company has a competitive advantage with products used. The only way to offer a competitive advantage is to offer a better price or service and CopperRidge and its Turf Farmer programs do that both for you! To find out now how to have a no charge, no obligation review please click here. Beware of seedy sales tricks when dealing with other Lawn Care Companies.